Monoculars are a great lightweight optic device that brings you the best of both a telescope and a pair of binoculars. They tend to be lighter weight than a full pair of binoculars of equal power and also much more portable when compared to a telescope. This gives you the ability to carry an optic like the best Zeiss monoculars on just about every outing you go on. Zeiss monoculars are one of the best in the market and they are made in different types based their sizes, weight, dimensions and some other special features. But how do you pick through the best to find just that one that will work for your particular needs? That is what we are here to help with. We have several products of Zeiss monoculars in the market, and it is very important you get the best device that can serve your purpose. In order to know the product to purchase, we will explain the main features and the review of the best products in the market. It is our hope that at the end of the review you’ll be able to make an informed decision on this matter. 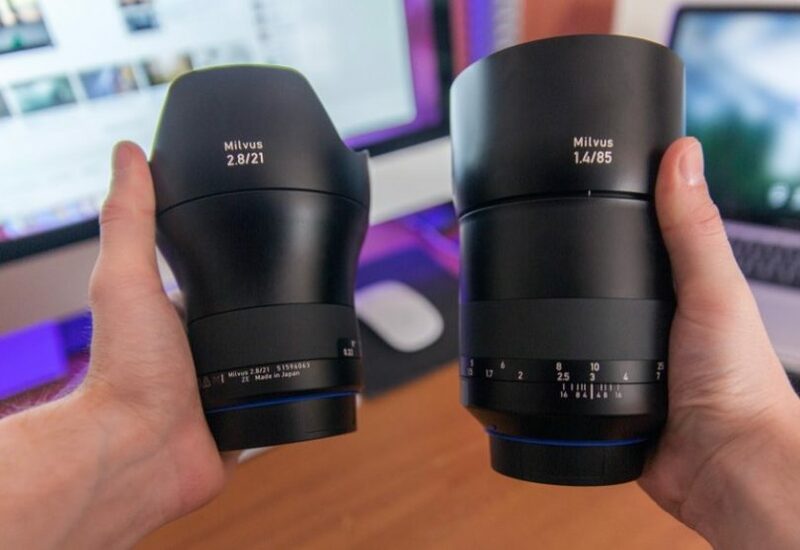 Before picking up a Zeiss monocular there are a number of considerations that you should keep in mind. It is true that any of the choices will be of great quality, with a little thought you’ll be able to pick the one that best fits your particular needs. The exit pupil is an important feature of this device. Therefore, for a better view, the exit pupil has to be larger. It should be noted that the greater the exit pupils the better the transmission of light into the eyes. If it’s low on a device, you may not have a clear view of your object. To have a large exit pupil, the objective lens has to be large with low magnification. Furthermore, the human eye pupil diameter has to be considered in relation to the exit pupil diameter. 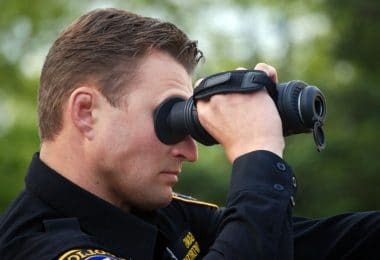 If it’s greater than the human eye pupil diameter, then there is no need for monocular in the first place, since the eyes can eventually do the job. But this is not always the case. Twilight factor is an important feature in a monocular as well. It is a theoretical estimation of a number of details that can be seen in low light. Its value is gotten by first multiplying the magnification by the objective lens size, and then taking the square root of the product. Therefore, the twilight factor increases with increase in either the magnification or objective lens or both. For instance, 10 x 25 monocular will have 15.81 twilight factor. This twilight factor is very necessary to indicate the brightness level of the monocular. Eye relief is very useful if the full field is to be viewed. There is Long Eye Relief (LER) and Short Eye Relief (SER). They should both be maintained at the required distance so as to facilitate good viewing. While people that don’t wear glasses will view this as more of a preference of where they’d like to place their optic, those with glasses don’t have that choice. If you wear spectacles you are going to need to take them into account while considering your eye relief requirements. A high quality monocular should be quite short and it should not be too heavy. This will enable you to have a perfect viewing setup. People often complain about the difficulty they face in handling a heavy monocular. So, it very important to take note of this feature before going ahead to purchase your device. In today’s market, you can find quality pieces in a wide range of size and weights. This means there is no excuse for ending up with an optic that doesn’t meet your needs. It should feel comfortable in your hand while not feeling like a lead weight. We listed some of the top monoculars from Carl Zeiss you can get in the market below. 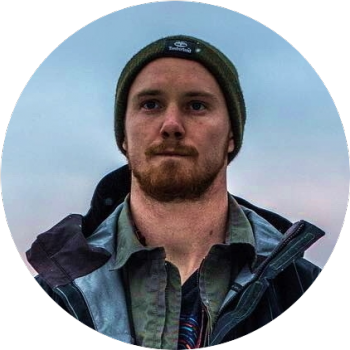 We highlighted the special features, pros, cons and some other things that will get you informed about a particular product. 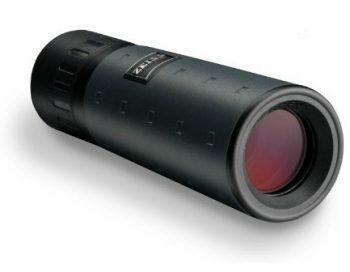 Description: The Carl Zeiss Optical Inc 10 x 25 T Monocular has patented T* anti-reflective multi-coating and a non-slip casing which makes it durable and highly protected from some external factor. It Weather-proof housing to seal against water spray so as to prevent corrosion of the device. In addition, this device offers +/- 4 dpt diopter range, which makes viewing at a very long distance possible. Related: Due to the heavy weight of this monocular it is advisable for beginners to use the device on a tripod. When using the tripod, you can also consider mounting it BARSKA Binocular Tripod Adaptor to hold it firm. Description: The Zeiss Design 10X Telescope has good magnification ability, it also gives high precision in its measurement and a push-pull mechanism which makes it have a perfect focusing. This device contains roofing prism and pouch which gives adequate protection to its body. The construction of this device has been modernized to include in its system an extremely wide field of view to capture all objects without missing anything out. 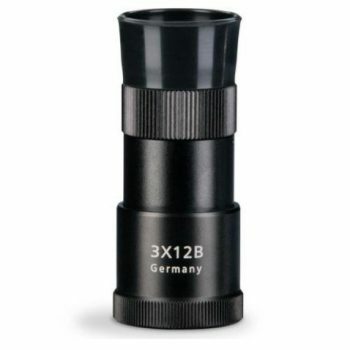 Related: You may also consider purchasing Carl Zeiss Optical Inc Monocular (10 x 25 T Monocular) because it offers more value than at the same price level. 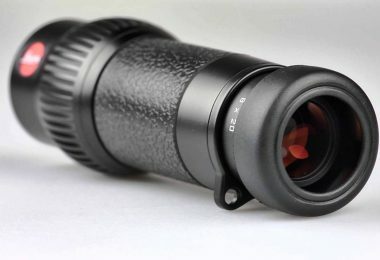 Description: Considering the light weight of ZES522010 – Zeiss 5 X 10 Monocular, it still offers the best result especially when is used for hunting. Unlike other monoculars of 10X magnification which may require a tripod to operate because of their heavy weight. This product doesn’t need such, as it can easily be carried about. The materials used to construct this device is resistant to water, which will make it not to depreciate with time easily. With this, it has the ability to last for a very long time during usage. This product has an anti-reflective multi-coating and non-slip casing for its adequate protection. Related: To keep your monocular safe between uses, you may want to look into a quality case, such as Khanka Hard Cas. It will be a great place to store or travel with your monocular. 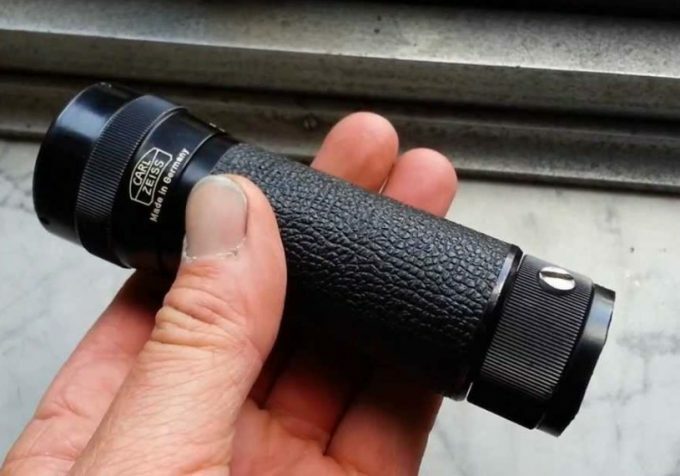 Description: The Carl Zeiss Optical Inc 5 x 10 T Mini Quick Monocular is a very good device which operates at a temperature range of -4 to 104 degrees Fahrenheit. Due to this wide range of temperature, it can be used in extreme weather conditions without posting any form of disturbance to viewing. This device is encased in a sleek elegant casing which has T* anti- reflective multi- coating system. All these protective provisions are made to keep the device safe and make it readily available for use. 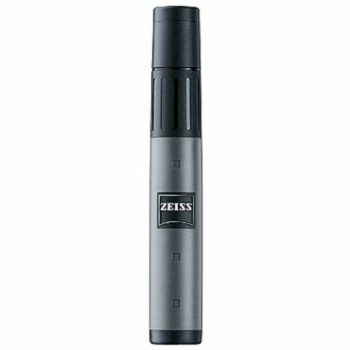 The compact design of Carl Zeiss Optical Inc Monocular (5 x 10 T Mini Quick) is in form of a fountain pen with handy pocket clip, thereby making it easy to carry about without any difficulty. Related: It is important to keep your monocular clean in order to make sure you keep getting the best views. 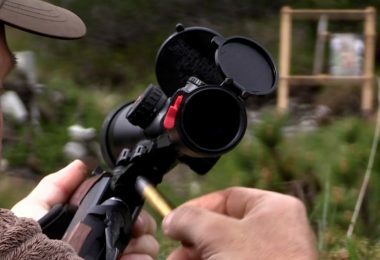 One thing to keep in your kit to accomplish this is the Leupold Lens Pen. Specific features: Impressive field of view, crystal clear, durable. Description: Though Zeiss 3 x 12 T Monocular might have low magnification, it very useful for having a clear view of distance object due to its objective lens diameter. Also, this monocular is very strong and durable. It can be handled with ease because of its small size. 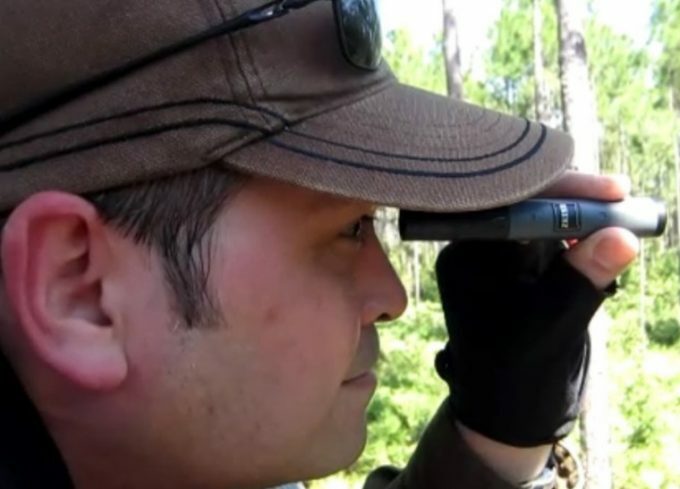 This small but powerful monocular has an impressive field of view of 600 ft at 1000 yards. This is a great option for those who often find themselves hunting. 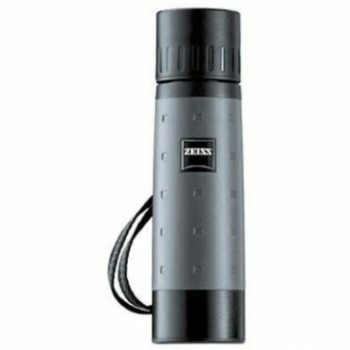 Description: The Carl Zeiss Optical Inc Victory PRF Monocular is a doubt threat of a monocular and a range finder. Due to its magnificent features, it gives a remarkably crisp, bright image quality and can be used for large field of view. It has a very good casing system to keep it safe and to protect it from external factors that may cause damage to it. This device is coated with Lotutec which protects it from water, grease, and dirt to avoid corrosion and deformation of its part. This multi- coating also enhances light transmission, reduces dirty look, flare and stray light. Related: To keep your monocular/rangefinder right at arms distance and ready for use, take a look at the Rangefinder Tether from Nikon. 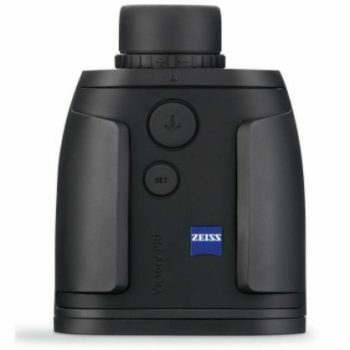 Description: The Zeiss Conquest 8 x 20 Monocular is made of a body that its water resistance. It won’t be easy for you to hold on the device due to its weight. It is advisable that the device is mounted on a tripod. With the magnification of 8x it won’t get you the closest of any monocular on the market, but with its low weight, it will be sure to stay at your side for when you need it. Description: The Zeiss 3 x 12B Tripler- x Monocular is very heavy and has low magnification at the same time. But not withstanding it give a clear image of a distant object, it’s quite portable and can be handled easily. The material used to construct this device is highly resistant to corrosion. This setup has its own trick up its sleeve. This monocular comes with an adapter to use with FL Victory series binoculars. It also comes fully waterproofed to ensure it will keep working even in the most severe weather conditions. Related: To keep your monocular safe between uses, you may want to look into a quality case, such as Khanka Hard Case. It will be a great place to store or travel with your monocular. In conclusion, we’ve been able to highlight the important features that can be found in Zeiss monoculars and we hope that you can now choose the monocular that best suit your need. It is the perfect tool for bird watching, hunting, watching sport or nature. Features such as the weight, magnification, objective lens diameter, exit- pupil and twilight factor should be put in mind when you want to purchase Zeiss monocular. If you have any experience with our picks, feel free to leave a note in the comments section below.